Happy Monday! It really is hard to believe we are in March already and Spring has finally sprung! I absolutely love this time of year, everything is so much brighter & colorful, even if the weather has stated otherwise lately! I can finally start dressing in brighter colors or at least lighter tone colors and leave the winter wardrobe behind. This is always a fun time of year when everything and everyone comes alive again and it’s always so fun to come together with your loved ones for a celebration, most especially weddings! The search for what to wear is always a bit daunting, so much so that I inevitably receive quite a few requests each season asking for help and I always do my best to honor those in some capacity. 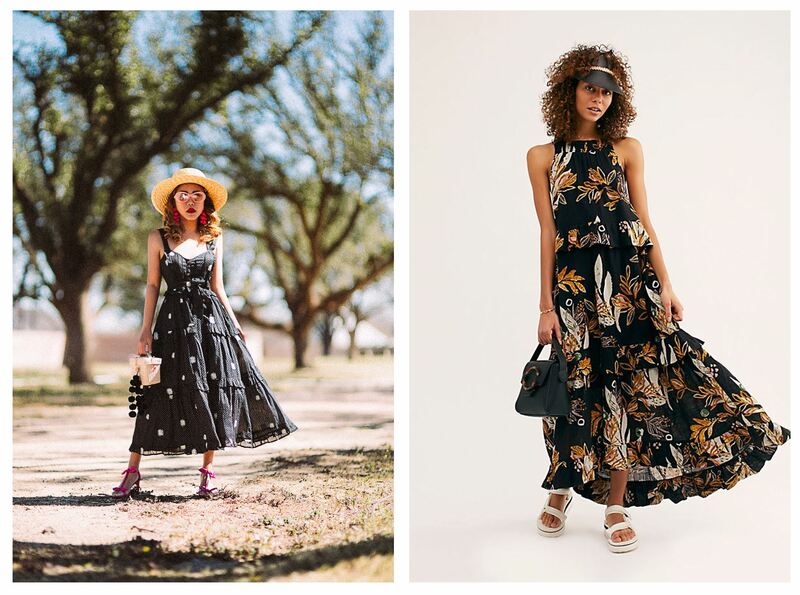 This year, since I’ve already received some requests, I thought I’d get some Spring wedding guest dress options out to you before the season hits. Since a dress is a spring staple, there are so many different styles available. I am obsessed with this flirty style from Free People that embraces the V- neckline and the back of this dress. Also loving the most beautiful floral detailing on this beauty. However you style your floral dress, it is sure to be your go-to this season. Above are 10 more spring dresses I’m loving. This one and this one are by far my favorite. One of my favorite pieces for spring aside from feminine dress is accessories. Throwing on a layered necklace from Stella and Dot instantly elevate your outfit. It doesn’t need to require so much effort to look fabulous. 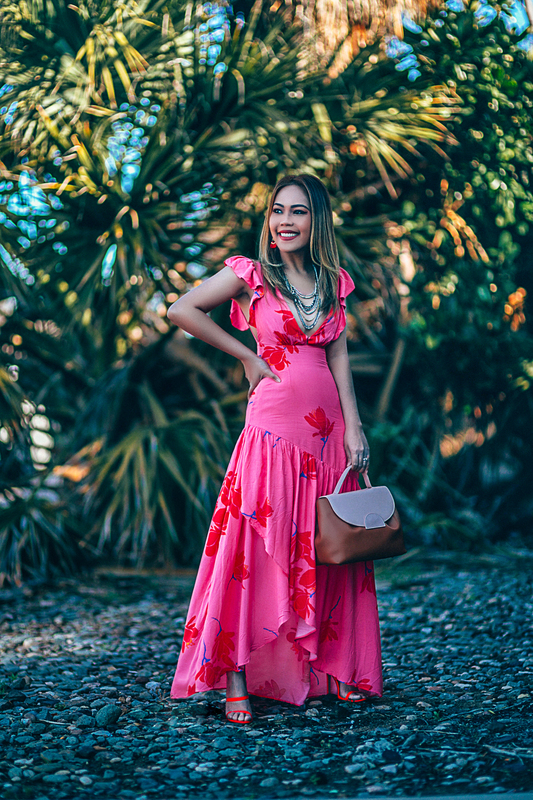 This floral dress can be dressed up with heels for a polished look or dressed down with gladiator sandals for something more relaxed so they work for almost any occasion. This is a sponsored post brought to you by Stella & Dot. The opinions are completely my own based on my experience. you rock the dresses! fun post! Wow this dress looks amazing. long floral dresses are absolutely my favourites!! You look gorgeous in pink! I love all of these spring dresses!!! Your pink floral dress is stunning on you! Loving your summer looks. That pink dress is so dreamy on you Len! Enjoy your week babe! Love how you styled each look! Love your dress. You look beautiful. Thanks for sharing a nice article about spring dresses.Cheers! I love a good dress for spring. Yours are so gorgeous! You look absolutely stunning in this floral dress, Len! These dresses are too much colorful. Like your post. Thank you.